Thirty years ago, Agapito Dumagin, the President of Bancal Fishermen Association said, he can catch or harvest 20-30 kilos of fish per day in Bancal Bay. But due to neglect and greed, the harvest significantly decreased to 3-5 kilos a day. “Nowadays, 10 fishermen are already fighting over a one kilo catch.” It was even a home to sea cows once upon a time. Bancal Bay is more or less 3,000 hectares of unique coastal marine area blessed with mangroves, sea grass, and corals. “It is highly considered as the nursery ground of the municipal waters of the Municipality of Carles, Iloilo. The municipal waters of Carles occupy 25% of the total area of Visayan Sea, the third most productive fishing ground of our country,” said Julieto Manggasang, Municipal Disaster Risk Reduction & Management Officer of Carles. “The declining productivity of Bancal Bay was further aggravated when Super Typhoon Yolanda devastated the municipality of Carles that altered its coastal ecosystems,” he added. 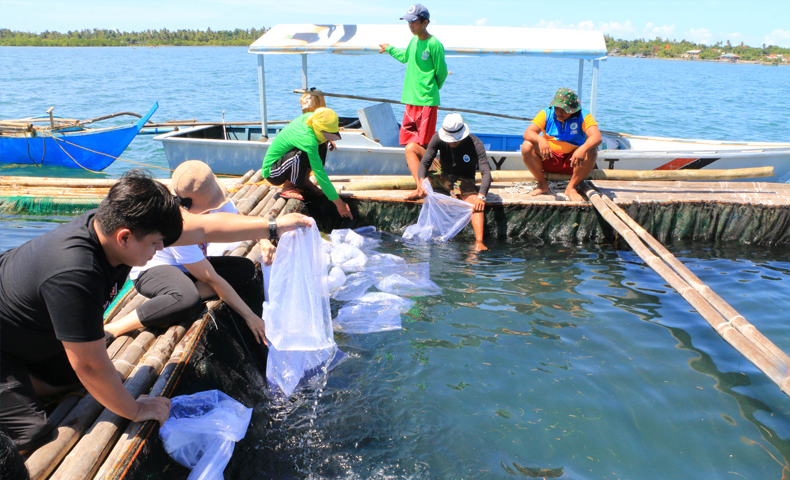 With the over exploitation of the Bancal Bay, Bantay Kalikasan of ABS-CBN Lingkod Kapamilya Foundation, Inc. launched a coastal and fishery resource management initiative called Save Bancal Bay Project together with the Department of Environment and Natural Resources, the Bureau of Fisheries and Aquatic Resources, and the Municipality of Carles, Iloilo. Through the donations given to Operation Sagip for Yolanda-affected communities, Bantay Kalikasan implements the project worth 1 million pesos. It aims to sustain fishery stocks and sustain fishery production within the Bay area, and to showcase the advantages and benefits of an intensively managed Marine Protected Area under the principle and concept of Community-Based Coastal Resource Management. The project is community-based for it will be managed by people’s organizations of Bancal Fishermen Association (BFA) and Bancal Bay Resource Management and Development Alliance (BARMDA). 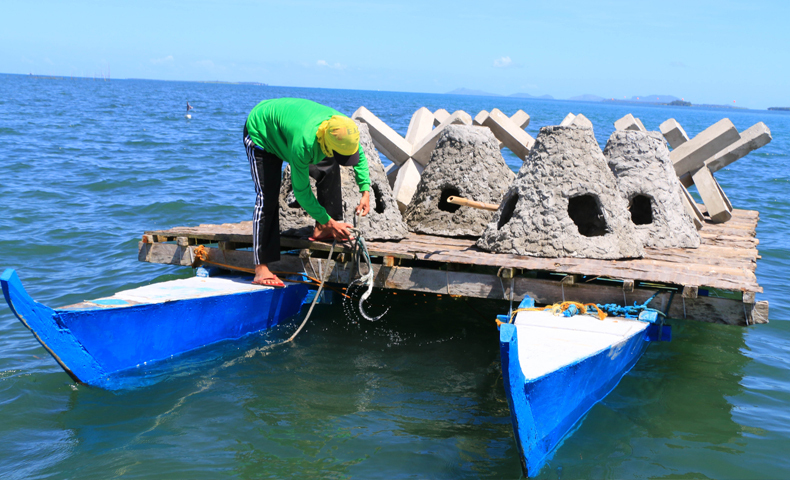 Bantay Kalikasan provided boundary markers to delineate the boundary of the No-Take Zone as Bancal Bay is a Marine Protected Area, and artificial reefs which are jackstone type and fish condominium to enhance fish habitat. Dumagin said that the jackstone reefs have a dual purpose. Aside from being shelters of fish, it can also halt illegal fishers when their nets lodge to it. “They won’t be able to get away once their nets are caught on those reefs for they are heavy. One jackstone more or less weighs 100 kilos,” he explained. A fish sanctuary was also made together with the Bancal Mangrove Park. Mangroves are also nursery ground of fish and shield from tsunamis and typhoon. 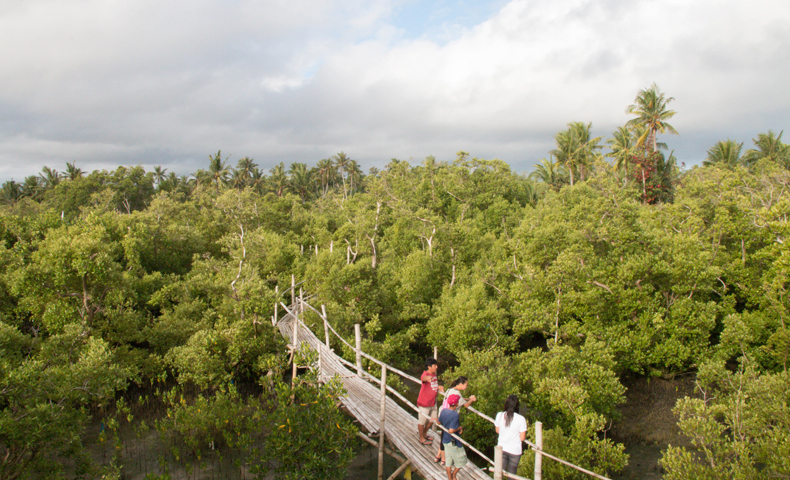 The mangrove park also serves as an eco-tourism project. One can plant mangroves and boat from the area to the fish cage to feed fish. A floating guardhouse which can also aid as a fish shelter was constructed, a patrol boat and communication equipment were also provided. Information, Education, and Communication Campaign about the importance of the initiative shall be implemented by BARMDA as well. 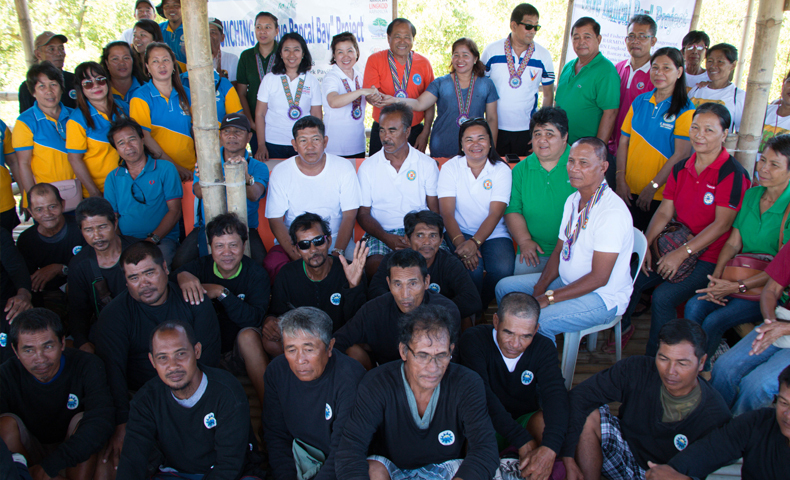 “This project is a big help for the members of our organization especially to those who are small-time fishermen. They can get a capital from whatever we can sell out of this,” he added. 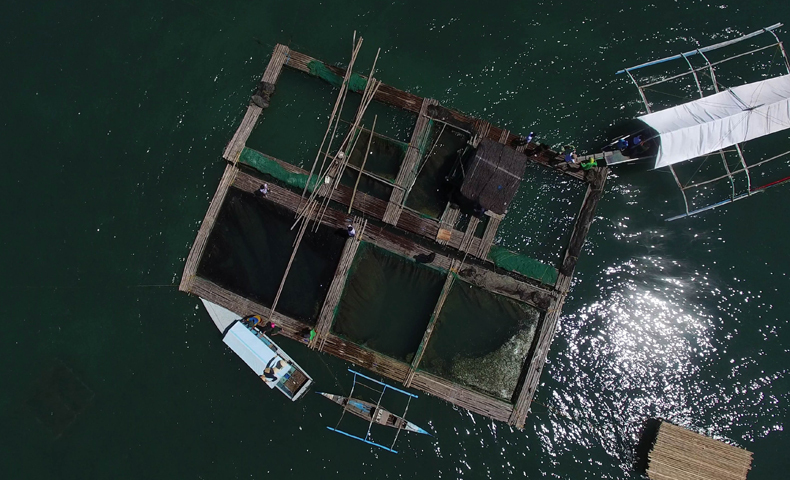 Aside from the fish sanctuary and Bancal Mangrove Park, Bantay Kalikasan also implements other eco-tourism projects in Carles such as the Dampa Restaurant in Brgy. Bancal and assisting the P.O. managing the Tangke Salt Water Lagoon and Parola Café and Museum in Gigantes Islands through the funds given to Operation Sagip. Bantay Kalikasan also donated a wharf in Tangke Salt Water Lagoon for the safety of the tourists. By working together, Bantay Kalikasan believes in empowering communities and alleviating poverty by providing livelihood, and promoting environmental stewardship.